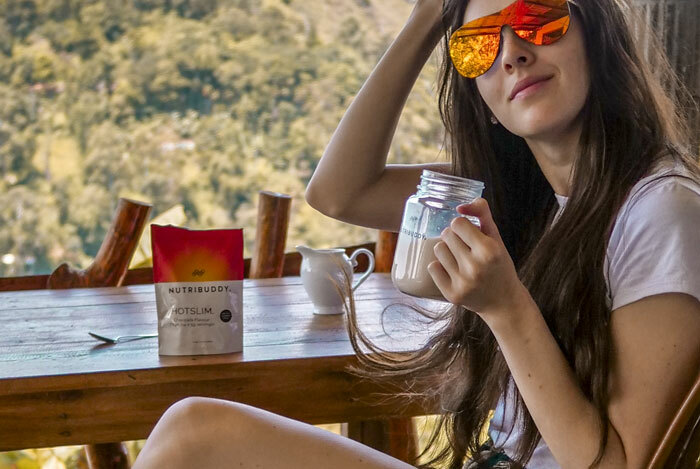 I'm a wonderful little pack, made up of 3 amazing shakes which can be used to replace your meals or snacks in order to help you stay healthy and in shape! We recommend that you replace no more than 2 meals per day to ensure you're still having a balanced diet. FREE Nutrient Booster 14 day Supply with every order of our 56 day Meal Replacement Bundle! All 3 delicious shakes are low in calories at under 150 calories per serving (without liquid). Despite being low in calories, they're still jam-packed with delicious nutrients! 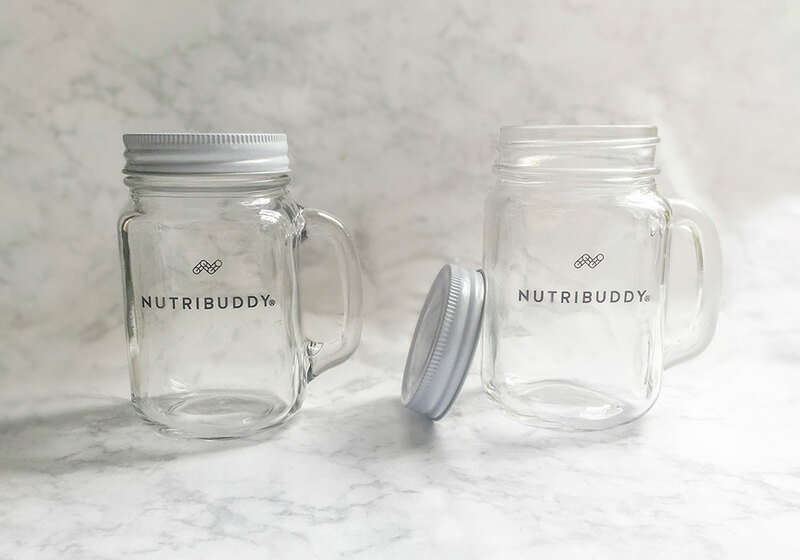 Mix up your delicious shakes in under 20 seconds in your Nutribuddy Shaker for a speedy meal on-the-go! My products contain no stabilisers, emulsifiers, thickeners or preservatives which most products in my industry use. They may leave an oaty residue in your shaker which is a sign that they're completely natural and safe! My products are made with 100% vegan ingredients to have minimal impact on the environment. My Breakfast Shake is perfect as a grab 'n' go breakfast, being high in fibre and vitamins. Our best-selling product with hundreds of customer reviews raving about how filling it is. You can read more about our Breakfast shake here. My High-Protein Sculpting Shake is low in calories and super filling! It makes an excellent snack replacement, satisfying your sweet tooth. It can also be added to smoothies to provide extra protein, nutrients and flavour. You can read more about High-Protein Sculpting Shake here. My HotSlim is low in calories yet surprisingly filling meaning this little warm, organic drink is ideal as a dinner replacement or a late-night snack, instead of a naughty hot chocolate. You can read more about HotSlim here. My stylish shaker is perfect for mixing up your Breakfast Shake & Shake Complete. It's dishwasher-safe and BPA-free. Come with a metal shaker ball to help make your drink smooth. Choose from black or hot pink colours! I also contain a hand-stamped glass mug! It come with a white, metal lid that is perfectly sealed so that it won't spill when you take it out with you. This little mug also dishwasher and microwave safe without the lid. Perfect for drinking your HotSlim! You can read more about HotSlim Mug here. We're ranked as Excellent on Trust Pilot based on over 166 Reviews. "One of the most important things we like to do at Nutribuddy is to make sure that every single customer is happy! That's why we introduced our Happiness Guarantee. It's a way to make sure that we're putting our customers first and that you can buy with confidence" Ella - Founder. Learn more about our Happiness Guarantee. 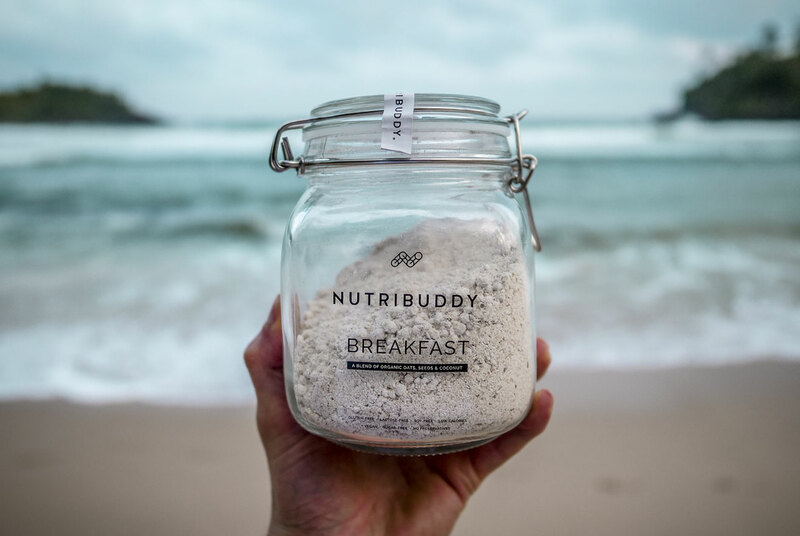 By default your Nutribuddy order is a one-off purchase. Subscribe & Save gives you the option to subscribe to a set number of shipments for a reduced price. You can easily customise each of your shipments such as the flavour etc. More information can be found in our terms and conditions. When you Subscribe and Save, we will automatically add an awesome free gift to your basket for your first subscription order. It's really the best way to buy Nutribuddy - if you keep going you get big savings, if you cancel before your first 3 shipments, you only lose the Subscribe and Save savings and so pay what you would have paid anyway for a 1 time purchase. You can cancel your Subscribe & Save subscription easily at any time by logging into your nutribuddy.com account. Ok so I’ve tried every shake you can think of and never stick to it as they don’t fill you up, and worse often taste awful! I purchased the vanilla breakfast and chocolate protein and loved them both! There filling and taste lovely! I’ve now ordered extra to stock up and received the banana with extra flack seeds. I personally found this to much with the extra seeds so won’t use it, but the actual flavour was lovely! Just ordered mine today cant wait to try it. Is the replacement kit better then the summer body kit? Purchased this package and i absolutely love it! Highly recommend! I’ve done meal replacement shakes before and they are always awful! However, since starting Nutribuddy I no longer dread drinking one! They taste amazing and the breakfast is SO GOOD! Cannot recommend enough – taste amazing! The meal replacement shakes taste amazing and are very filling – just as advertised! The chocolate HotSlim is my fav so far…cannot recommend enough! Started Nurtibuddy 6 days ago, it’s amazing! Loss of 6lbs so far. All the shakes taste great, love my hot slim before bed! Love the Strawberry Flavour Breakfast Shake. Love everything about the meal replacement Shakes. Will definitely be ordering some more. Just placed my 1st order after trying products through a friend. Fab taste and felt full afterwards. Looking forward to results after meal replacement programme. I bought the 28 day bundle, came really quickly and packaged really well. Love it all. I just started my meal replacement bundle today and it taste much better than I thought 😍 definitely can’t wait to see the end result. Love love love , highly recommend ! Amazing flavour shakes. Can’t wait to see the results. I ordered the meal replacement shake and I’m surprised how nice they taste with all natural ingredients! I will definitely be ordering again. So I’ve had this bundle for 9 days and lost half a stone without watching my meals over the weekend, I have the breakfast vanilla shake with chocolate soy milk and it is delicious the strawberry protein powder with fresh strawberries, soy milk and natural yoghurt and it fills me up and is lovely can’t wait to try a different flavour and the hunger pills next ! Really happy that I ordered this product. I’m four days in and 5lbs lighter already. Love that this doesn’t leave you feeling hungry like some other diets and that it tastes really good too! Will definitely continue with this plan. Heard so many good things about this stuff. Ordered 14 days worth and will definitely be keeping it up it sounds amazing! So happy with the bundle! I was really excited to find a vegan name and even more happy when it arrived and find it is delicious! The breakfast shake keeps me going all morning while I’m at work, I normally feel bloated after shakes but this one doesn’t do that at all! Will definitely be ordering again! Love love love the breakfast shake – using vanilla flavour with almond milk. Just tried the vegan protein shake and its tasty, nice consistancty. Looking forward to trying my hotslim tonight! Packaging beautiful, glass jar looks lovely in my kitchen too! Subscribed to 3month and will use again! Just ordered my bundle and I’m super excited! Heard so many good things about them and wanted to try it for myself, always struggled losing weight and finding vegan products so I can’t wait to see if this works! I’ve started using the breakfast shake and love the vanilla flavour! I’m now on day 5 of the Nutribuddy! I’ve been having a breakfast shake every morning, a meal replacement shake for lunch and then a proper dinner in the evening. I’ve also been taking the hunger fix 3 times daily and having my Hotslim drink before bed every evening (which has replaced my usual glass of wine)! The shakes are really tasty and I think I’d like to try the chocolate flavoured one for a change during my next batch, if possible. I’ve lost 2lbs this week so far. I’m going to stick with it throughout my subscription which is 6 weeks and go from there. But so far, so good. I don’t feel hungry at all during the day and I really REALLY enjoy my evening meal. Not sure if it’s the Hotslim drink but I haven’t slept so well in ages!!! Started on Sunday, using the breakfast and hot slim. Pleased so far, filling and stopping me snacking on rubbish and skipping breakfast. Will be re ordering and trying some other products at the end of the month. I ordered the meal replacement package last Thursday and it was delivered the next day – excellent! I started yesterday with the strawberry porridge shake for breakfast and then the chocolate shake for lunch. Both taste yummy, especially the chocolate shake – didn’t want it to end! I have quite a bit of weight to lose so this is kick starting me in to doing it. Not feeling so bloated and only on day 2. I’m snacking on carrot and cucumber and having either an apple of banana in the day and then a meal for dinner. I’m gluten and wheat intolerant so it is so good to find a meal replacement package that won’t make me ill!! Thanks Nutribuddy, I will be posting before and after pics once my 56 days are up. In April 2017 I was just over 11 stone, I start the gym and started using nutibuddy for a breakfast replacement. I started using the scales in boots that show you your weight and body fat. If it wasn’t for nutibuddy I wouldn’t be wear I am now, this has stop me picking in the mornings, and I full until lunch time. I ordered the Nutribuddy meal replacement bundle as id seen it on Instagram and read the great reviews. I’m 4 days in and I can already see results. I can honestly say this helps me stop snacking on bad stuff. It’s encouraging me to eat better and drink more. I use coconut milk with it which gives it a sweeter creamy taste which must fix my sugar cravings. The shakes tastes so good! Actually look forward to having one. I feel like this has been a great kick start for me and I have energy to go to the gym and make better food choices. Using My Fitness Pal app with a healthy lifestyle and diet really makes you think about your diet. Customer service is great too. Always very friendly and respond quickly. So glad I took the leap and ordered it. Used the protein shake after a run this morning, then had the hot slim for a meal replacement lunch. I really enjoy the hot slim. It works a treat. Just ordered this package and can’t wait for it to arrive. Having looked at the before and after pictures was the final convincer for me! I will be uploading mine once iv done my 14days! Easy to follow website, impressed by the amount of information on it. Come on summer body!! Hi. I started using the shakes and breakfast supplement 4 days ago. I feel I have more energy less bloated. Overall feeling great. I have the breakfast mix and the whey supplement for lunch with some fruit and then a healthy dinner. Fabulous products I will continue after the 14 supply I have. So happy with this pack I have IBS and I was fine after drinking all the shakes mixed with my lactose free milk. I was not hungry at all and loved the hot slim chocolate before bed. I was so happy when I saw this bundle as I really wanted to buy breakfast shake and hotslim together. I bought it yesterday and can’t wait for it to arrive!